Bring your adult taste buds to the table and enjoy this sophisticated and refreshing dairy-free ice cream. You know how when you scoop out a perfect bowl of ice cream, get all settled in on the couch and are ready to watch your favorite show, and then all of a sudden the little kidlet snuggles right up next to you, looks at you with those puppy-dog eyes and you know you have to sacrifice some of your treat? Serious buzz kill right there! I don’t mind sharing average food, but when it’s something I’ve been looking forward to, I’m always a little hesitant to want to share. Thankfully, I have the answer that you can tell your children next time they come begging for a bite. I am in no way, shape, or form saying that this ice cream is bad. It’s just not your average chocolate, vanilla, or strawberry. Let me explain. As you should know by now (because I talked about it here and here), I went to Portland, Oregon almost 2 months ago, and had a trip of a lifetime. It was for the Indulge Food Blogger’s Conference, so of course, what did we do? We ate around the city! 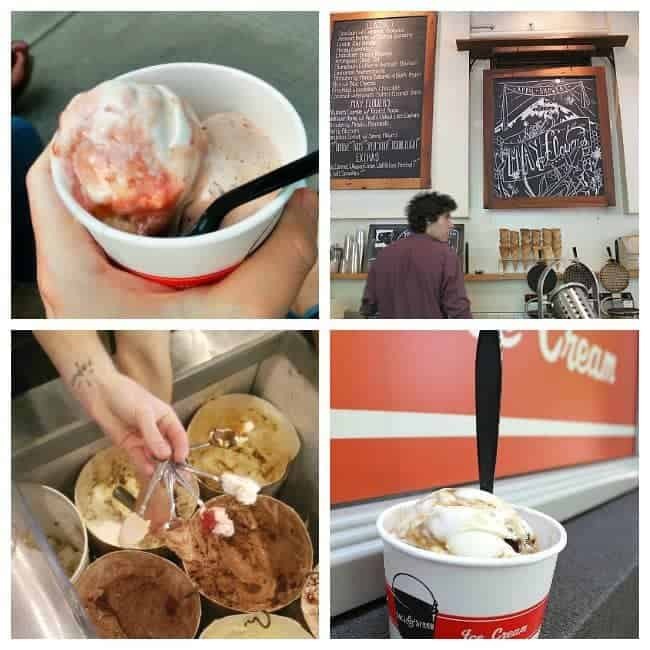 So once we got to Salt and Straw, we were pleased to see that there was no line like there had been in all the pictures I had seen. We were immediately greeted by one of the most friendly and sweet girls that worked there, and she was ready to serve us to our hearts’ contents. Basically, we could sample any and everything on the menu. Seriously. She told us to try as much as we wanted. And it wasn’t just your classic plastic tester spoons. No. We were each handed cute little antique metal spoons and got a new one for each flavor we wanted to try. I know it’s just a spoon, but it sure added to the cuteness of this shop. Yes, Blue Cheese ice cream! These flavors all sounded so out there, but my goodness, they were out of this world aMAZing! So amazing, in fact, that on our last day in Portland, we had to go back for one last visit before saying goodbye to such an amazing city. This time, the shop was hopping, and I am quite certain it was the scent of homemade waffles that was drawing people in through their wide open windows! In my mind, I thought we would probably be hurried through the line and wouldn’t be able to sample as much as we had our first time. I was completely wrong. Despite the line that wrapped outside and all around the building, we were still given special treatment. Silver spoonfuls of anything we wanted to try off the menu. I didn’t know if there was anything on the menu that would wow me like the last scoop I got, so I almost settled for that again. Seriously, the next silver spoonful that I put into my mouth was a life-changing bite. And one I almost missed out on, but I was feeling adventurous. Rhubarb Crumble with Toasted Anise. See, I don’t really like fruity flavors in my ice cream. I’m more drawn to the caramels, chocolates, cinnamon, and nuts. But I do love anise. I am one of the rare weirdos that love black licorice, so I was definitely intrigued. Although still super skeptical of the rhubarb. But Oh.My.GAH! There are no words. 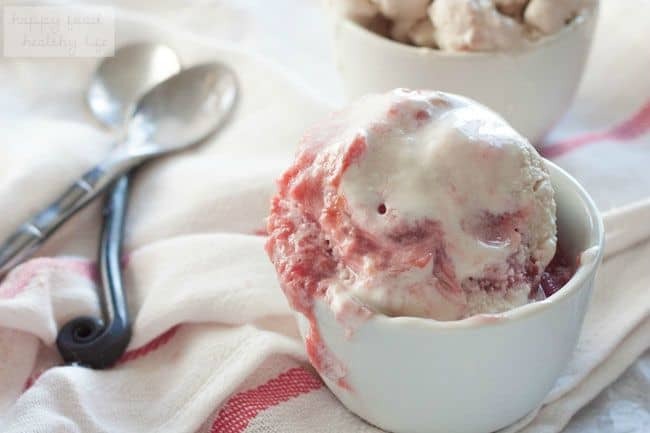 The rhubarb was light and sweet, and paired with the creamy ice cream and just a tiny note of the anise flavor… HEAVEN in every bite, let me tell you! What I loved the most is that the anise wasn’t overpowering. So if you don’t like black licorice, that shouldn’t deter you from trying this out. You taste something in the background and just think, hmmm, what is that? Another layer of sophisticated yum, that’s what! 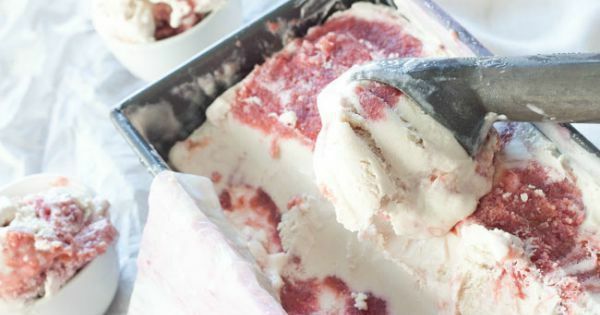 So I knew I had to make this at home as a dairy-free version, and although I didn’t think it would quite meet up to Salt and Straw’s scoop, I was so excited. But when I took that first bite, I was instantly taken back to that amazing weekend with some of my best friends. So that’s that. The secret to both my happiness and keeping your kids’ hands away from your ice cream. 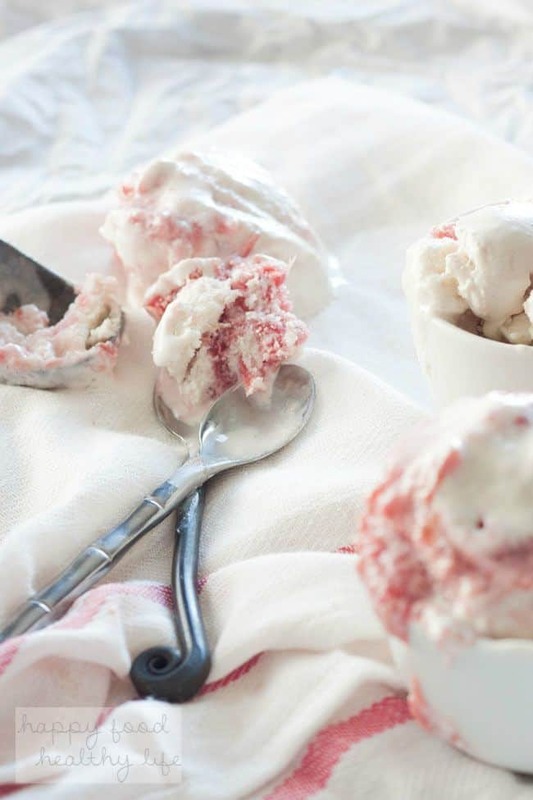 Get daring and adventurous with your ice cream in this scoop of sophisticated deliciousness! About 2 days before making your ice cream, steep your anise seeds in the soy creamer. In a medium saucepan over medium heat, combine the two ingredients together. As soon as it starts to simmer (do not let it boil), remove it from the heat and cover for at least 20 minutes. Pour into a jar, let cool, and place in the refrigerator for at least 24-48 hours. 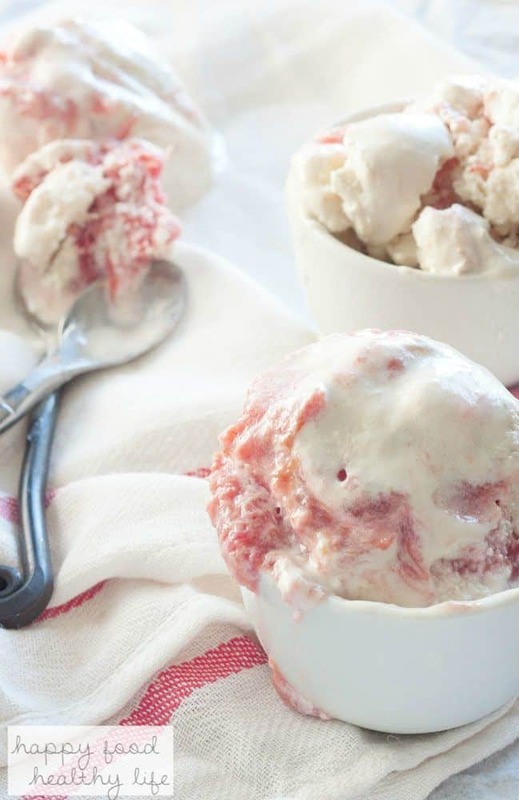 About 1 day before making your ice cream, make the rhubarb sauce. 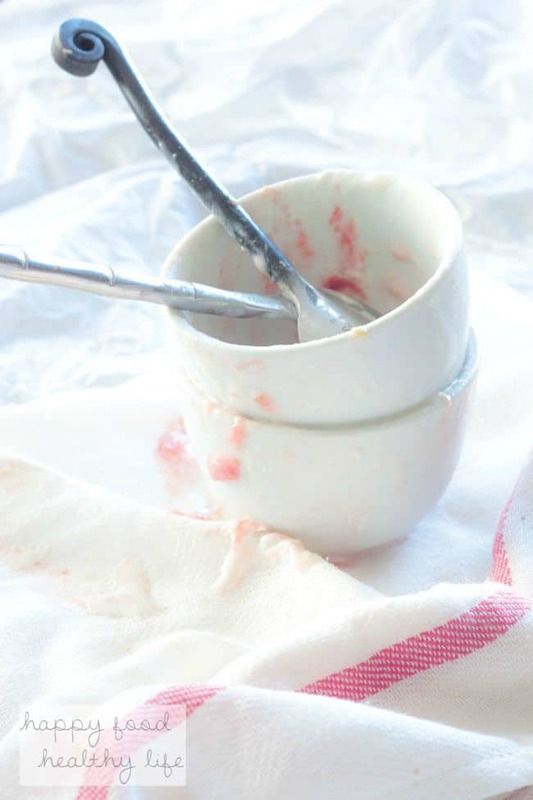 Combine rhubarb, sugar, agave, water and vanilla in a large saucepan. Bring to a boil, stirring until the sugar is completely dissolved. Lower the heat and simmer for approximately 20 minutes until the rhubarb breaks down. Remove the pan from the heat and cool completely. Place in the refrigerator until ready to make ice cream. Also be sure the bowl of your ice cream maker has been in the freezer for at least 12 hours before making the ice cream. 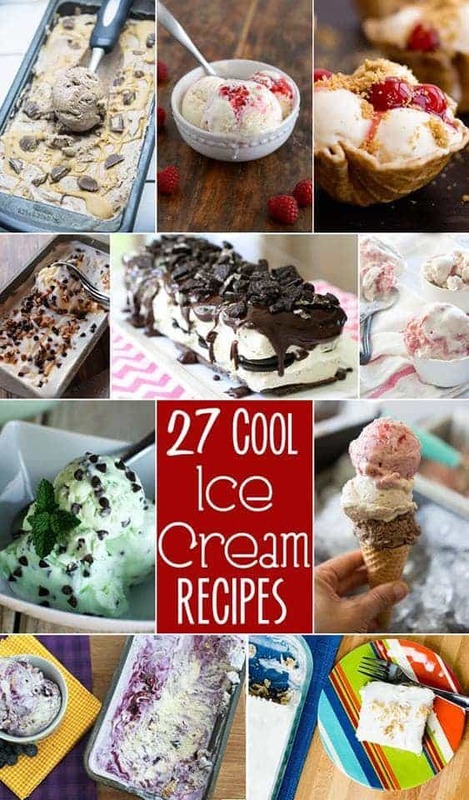 Place all ice cream ingredients in a blender and combine until thoroughly mixed. Add mixture to ice cream maker and follow the manufacturer's instructions. It should take about 15 minutes to thicken. 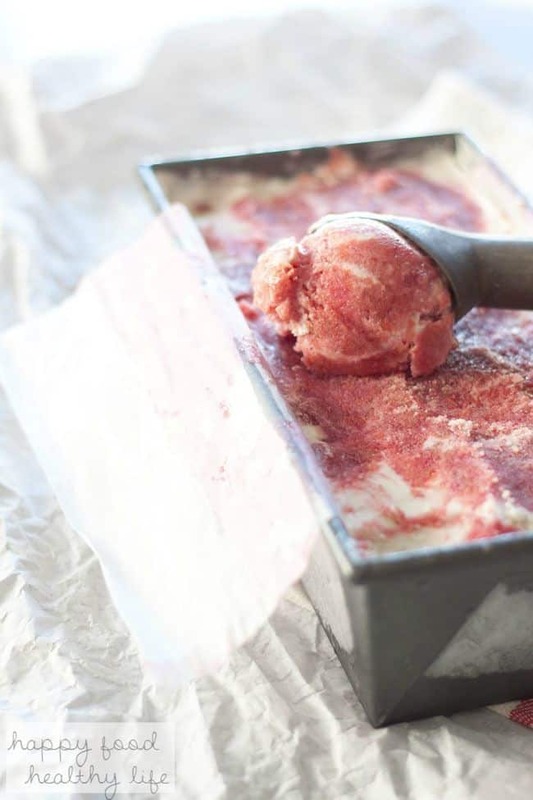 Once thickened, place about half the ice cream in a loaf pan or freezer-safe container. Top with half the rhubarb sauce. Top with remaining ice cream the remaining rhubarb sauce. Using a skewer swirl the ice cream and sauce together. 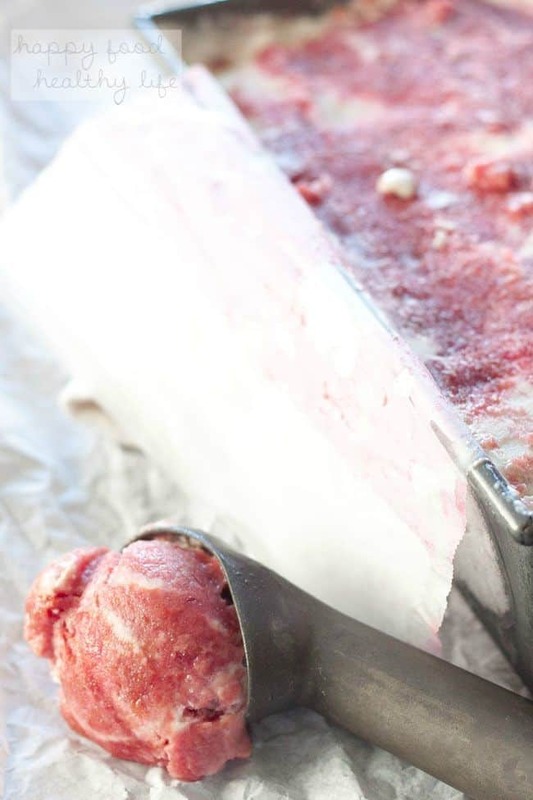 Cover with plastic wrap and foil tightly, and freeze for at least a couple hours. Once ready to serve, remove from freezer 30 minutes prior. Great post Holly! What a flood of memories that came back from our wonderful trip – I want to go back SO bad!!!! Salt and Straw was seriously the best and they SERIOUSLY need to come to Utah! Your ice cream looks divine! I didn’t sample this flavor when I was there, so thanks for making this so I can try it at home. Isnt their ice cream amazing? I loved the coconut with the salted caramel cookie too. So good! Oh Salt and Straw. How I love that place!! That pear and blue cheese was so good!! I’m still laughing at how long it took us to get there. haha I’m really excited to try your recipe. We love rhubarb! This looks like a goody. I do kick myself that I never did try the blue cheese and pear – I know I’d LOVE it! my husband adores rhubarb, we had a huge bush in the backyard of one of our houses and he would make rhubarb syrup all the time, he would love this! mmmm rhubarb syrup would be amazing! 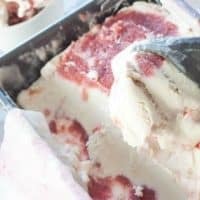 I have never had rhubarb ice cream! Sounds delish! 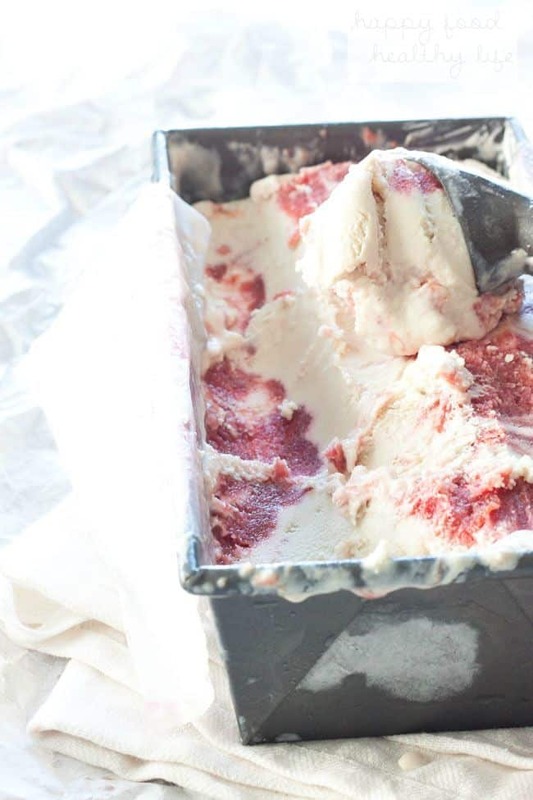 I am so amazed that you were able to make a dairy free ice cream – it looks delicious!